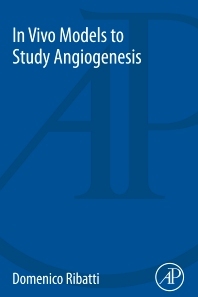 In Vivo Models to Study Angiogenesis provides the latest information and an overview of the most common assays for studying angiogenesis in vivo. Under physiological conditions, angiogenesis is tightly controlled, whereas increased production of angiogenic stimuli and/or reduced production of angiogenic inhibitors leads to abnormal neovascularization, such as occurs in cancer, chronic inflammatory disease, diabetic retinopathy, macular degeneration and cardiovascular disorders. Several genetic and epigenetic mechanisms are involved in the early development of the vascular system. This book presents the latest information from the extensive literature and research available. Evidence is now emerging that blood vessels themselves have the ability to provide instructive regulatory signals to surrounding non-vascular target cells during organ development. Thus, endothelial cell signaling is currently believed to promote fundamental cues for cell fate specification, embryo patterning, organ differentiation and postnatal tissue remodeling.